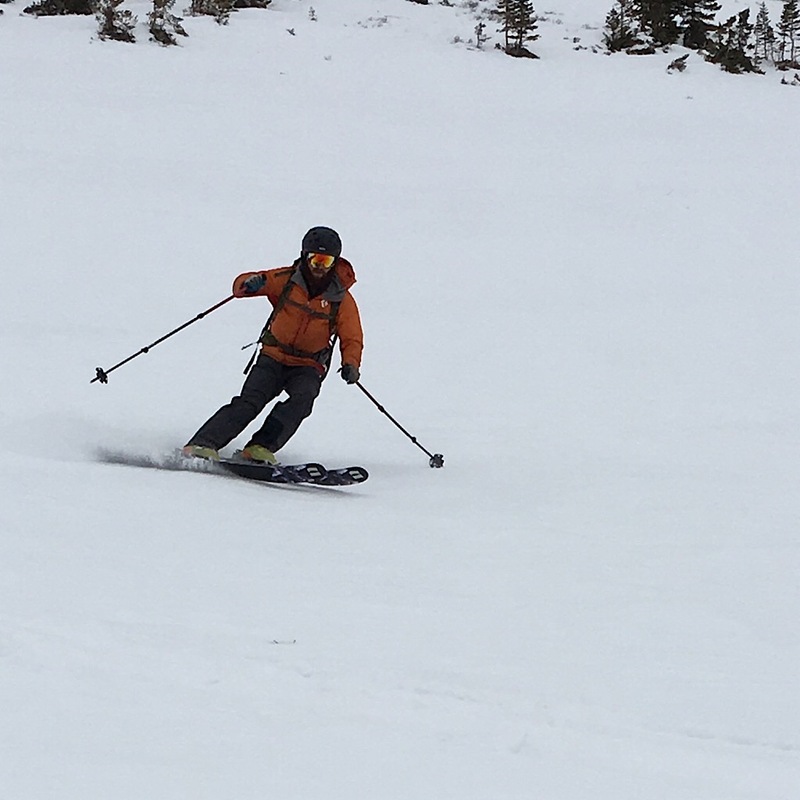 Erik out there, doing one of the things he loves most: skiing. We’re pleased and excited to introduce our newest member of the Redline Guiding Team, Erik Samia. Erik is a Mt Washington Valley native… born and raised in the mountain area we love most. Thus his knowledge of the area and National Forest is intimate and extensive. That’s a combination of two things we hold dear. Moreover, he excels in multiple disciplines offering a well-roundedness that lends itself to adaptability in myriad situations. Erik hikes, and skis, and even climbs. 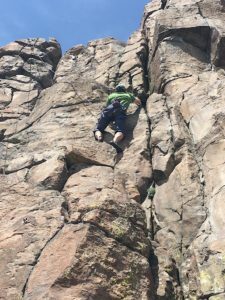 Rock and ice climbing isn’t something we offer — we go through our North Conway partner for these things — but the knowledge of such pursuits is still valuable. This sort of thing often leads to a firmer grasp of considerations like risk management and the judgement skill. 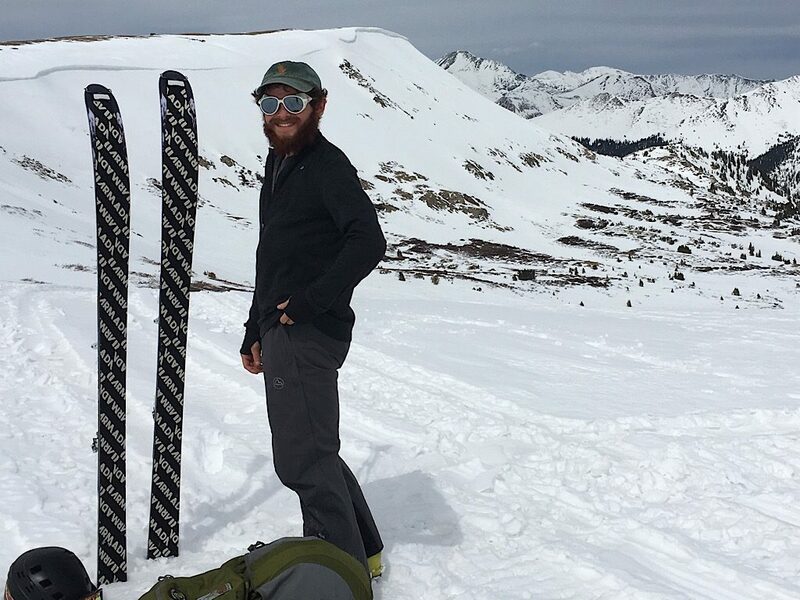 Erik will guide guests on skis trips in the backcountry (all types), on snowshoe tours, and even in crampons on Mt Washington and such. In time, we may even offer LNT courses thanks to his master educator status. Introduction: Erik lives in the Mount Washington Valley, where he was born and raised, beginning his love for adventure for the outdoors when he was still in diapers. He has been an avid hiker, backpacker, skier, paddler, and climber for many years. Being from the White Mountains his curiosity for the outdoors has only grown through the years. He has lived in tents, yurts, and wigwams for a least six months per year for the last six years in order to fully immerse himself in the mountains and woods. He studied Recreation, Adventure Education/Travel and Ecotourism while at Paul Smith’s College in the Adirondack Mountains and has led backpacking trips, LNT courses, and helps lead and coordinate the Appalachian Mountain Club’s Volunteer for Trails Program for the past five years. 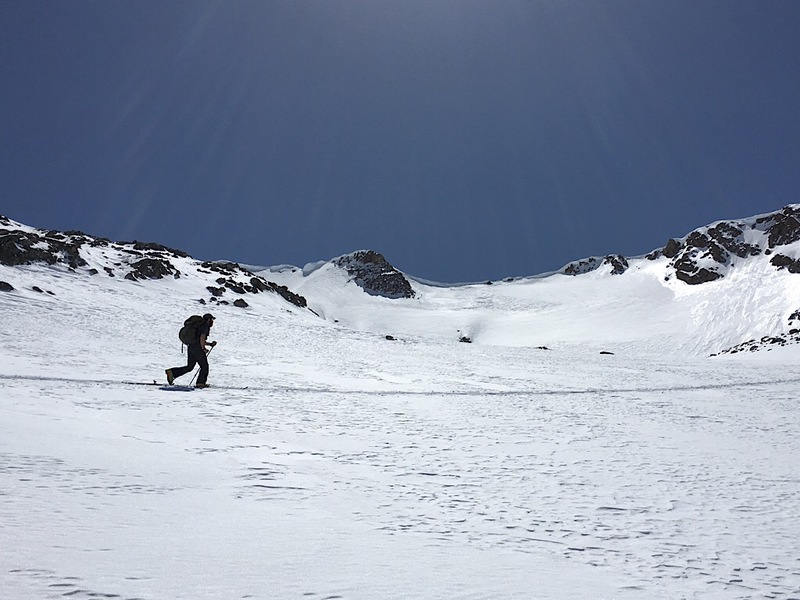 Erik hikes, backcountry skis, and climbs all around the country. Résumé: Hiked, backpacked, backcountry skied, and climbed all across the northeast and numerous other spots across the western part of the united states. Erik has completed hiking the three-season 48 4000-footers’ list. He has studied primitive living skills, while living in a yurt community. 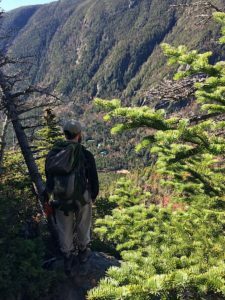 He has led backpacking trips and trail crews all throughout the White Mountains, 100 Mile Wilderness, Baxter State Park, Acadia, Berkshires, Green Mountains, Adirondacks, Costa Rica, and the Virgin Islands. In the past year he has worked on building partnerships through trails and conservation with local groups as well as an international trails internships with the Sendero Pacifico down in Costa Rica. 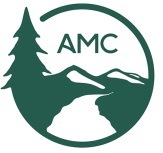 Certifications: Degree in Recreation, Adventure Education/Travel, and Ecotourism (PSC), SOLO Wilderness First Responder (WFR), AHA CPR/AED, AIARE Avalanche Level 1 (Avy 1), Leave No Trace (LNT) Master Educator, and White Mountain Outfitter Guide (USFS/AMC). Erik “skinning” on his skis.